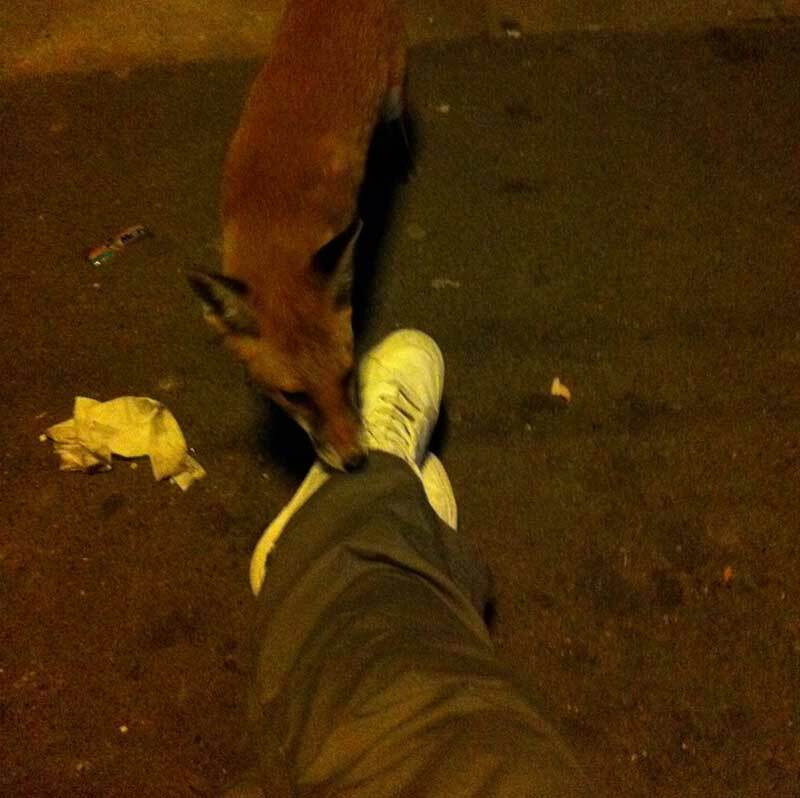 A man who fell asleep at an east London bus stop claims he woke up to find a fox chewing at his foot and trying to pull his trousers off. Steve Gould, from Thurrock in Essex, had been out drinking with friends in Soho but, after falling asleep on the train on the way home, missed his station and woke up in Leyton. "He wasn't trying to bite me or anything. It was like he was pulling my trousers to say 'come with me' or trying get them off." Mr Gould, who works on the Tube, said the quickly scarpered across the road where it was joined by another fox, who eyed Mr Gould for several seconds before the pair ran off together into the night. He said: "God knows what would have happened if I hadn't woken up. I could have lost a leg, I don't know. But he was doing no harm. He was quite calm, he wasn't going to attack me." Mr Gould added: "It was just the most remarkable thing I've ever seen. It's up there with my best ever experiences, most definitely." 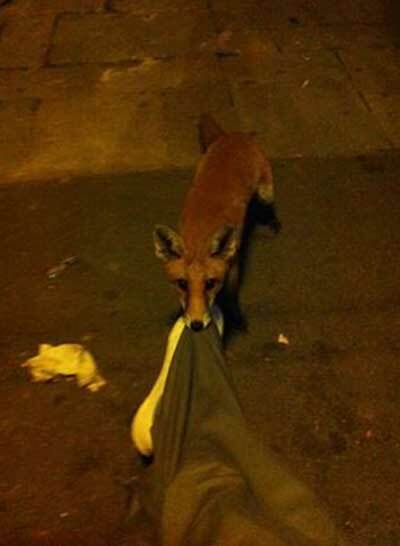 It's about time English foxes tried to get even for all those fox hunts.